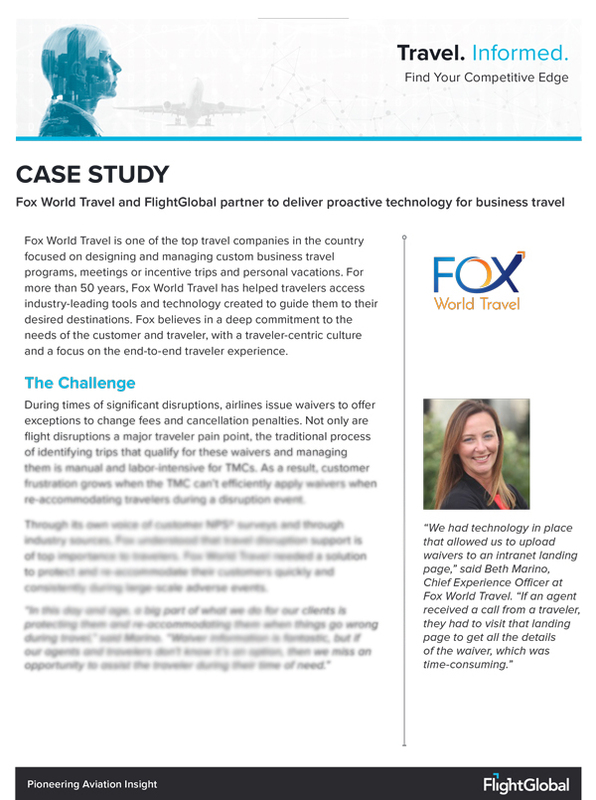 Download the five-page Case Study to read more about this pioneering approach to the costly and growing problems, and how you might integrate FlighGlobal into your own disruption management solutions. During times of significant disruptions, airlines issue waivers to offer exceptions to change fees and cancellation penalties. 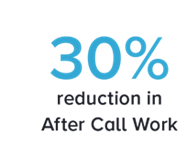 Not only are flight disruptions a major traveler pain point, the traditional process of identifying trips that qualify for these waivers and managing them is manual and labor-intensive for TMCs. 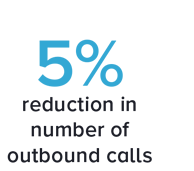 As a result, customer frustration grows when the TMC can’t efficiently apply waivers when re-accommodating travelers during a disruption event. 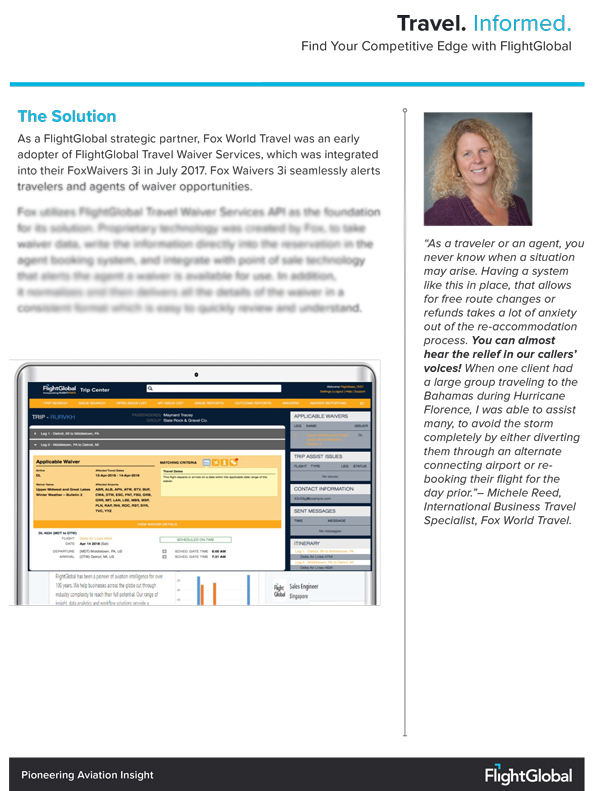 As a FlightGlobal strategic partner, Fox World Travel was an early adopter of FlightGlobal Travel Waiver Services, which was integrated into their FoxWaivers 3i in July 2017. 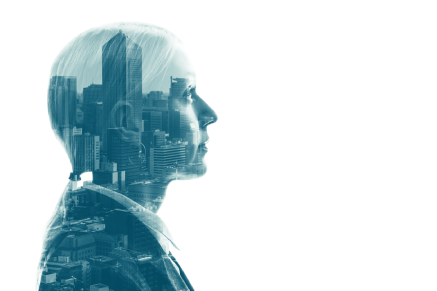 Fox Waivers 3i seamlessly alerts travelers and agents of waiver opportunities. 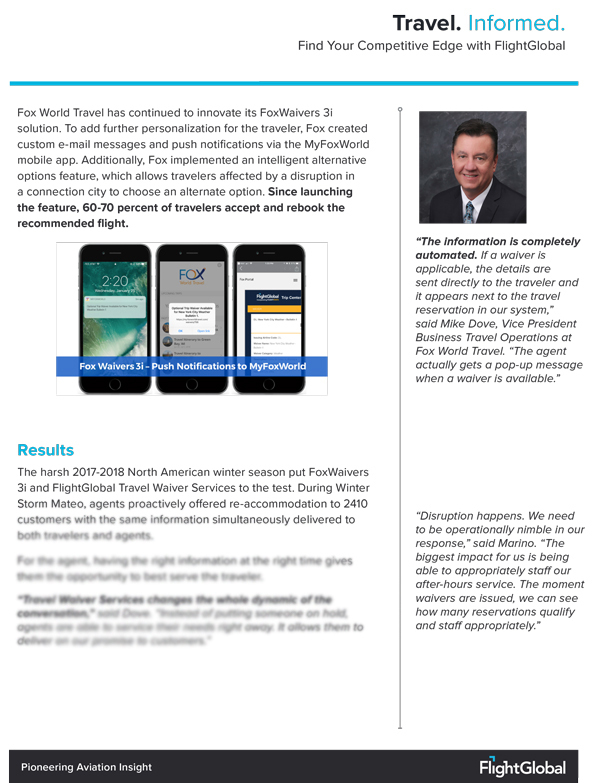 The harsh 2017-2018 North American winter season put FoxWaivers 3i and FlightGlobal Travel Waiver Services to the test. 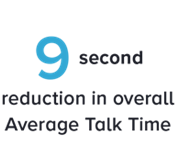 During Winter Storm Mateo, agents proactively offered re-accommodation to 2410 customers with the same information simultaneously delivered to both travelers and agents.